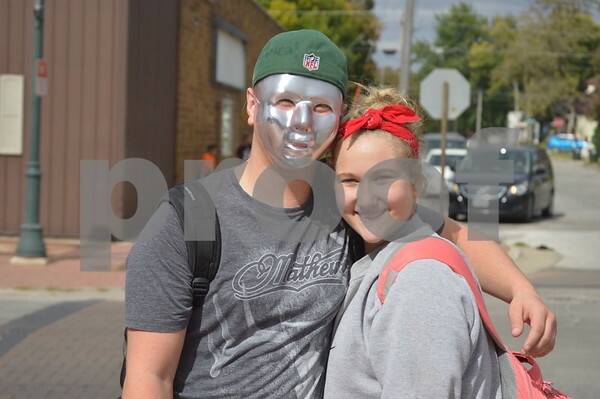 A masked Connor Voss and Jasmine Patrick pose for a photo while waiting for the parade to begin. 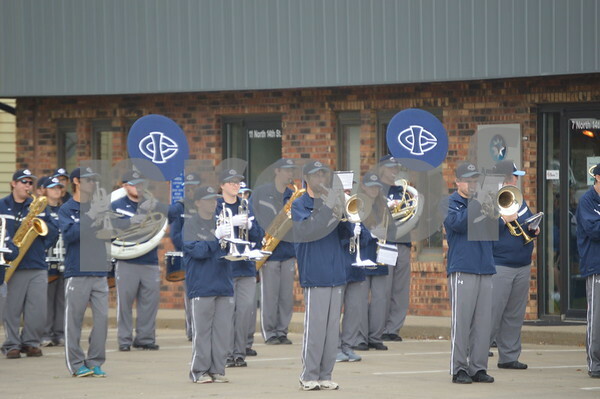 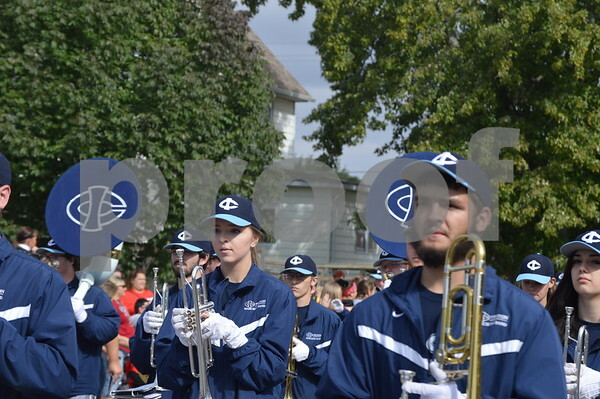 The Iowa Central band prepares to march. 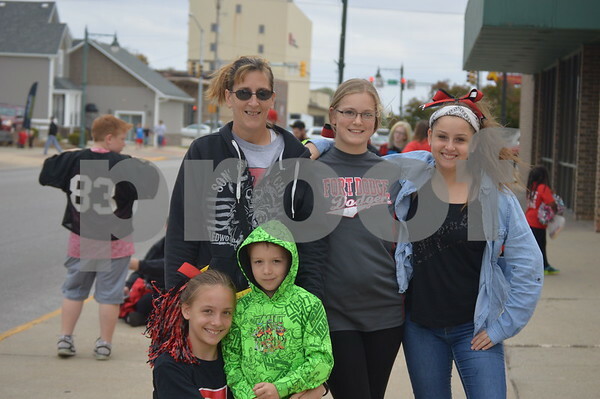 Anne Fliehe, Brianna & Jasmine Baguhn, Kayla Hannover, and Duane Fliehe pose for a photo outside the Fort 8 Theater. 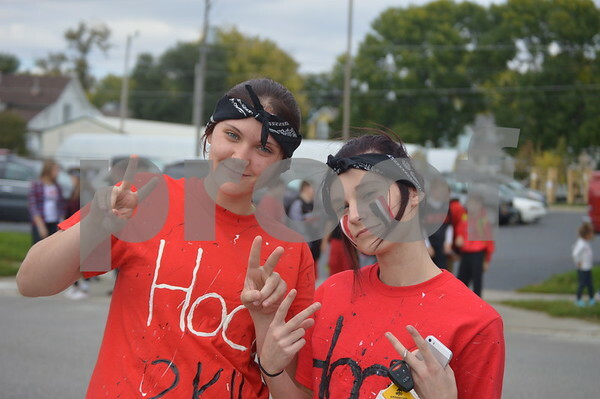 Keeley and Katie Degner throw up peace signs while waiting for the parade to begin. 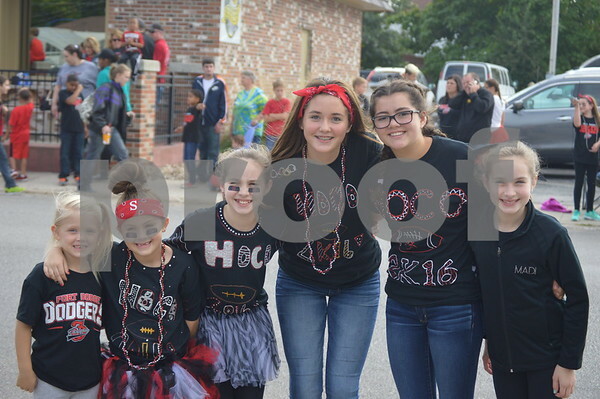 Ella Moritz, Ava Larson, Sydney Carver, as well as Ashlynn, Madison, and Macy Mills pose for a photo while waiting for the parade to begin. 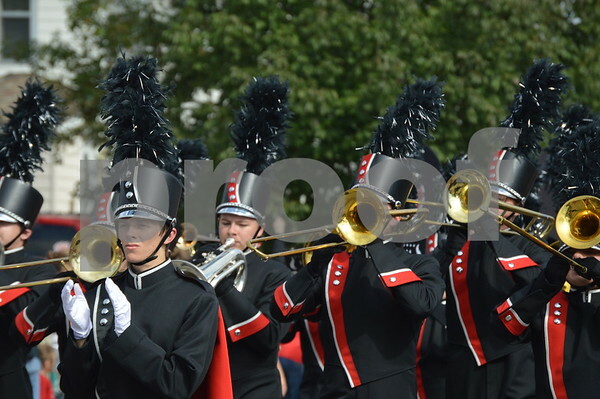 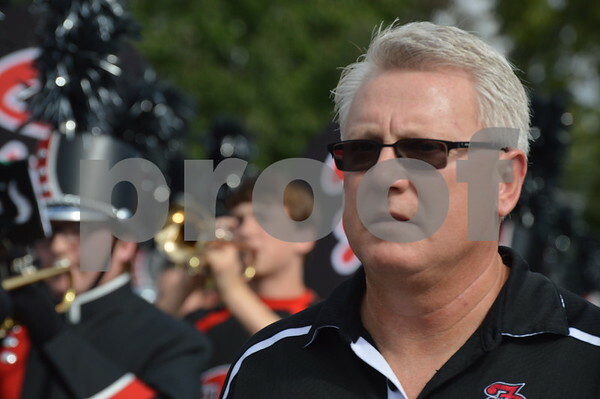 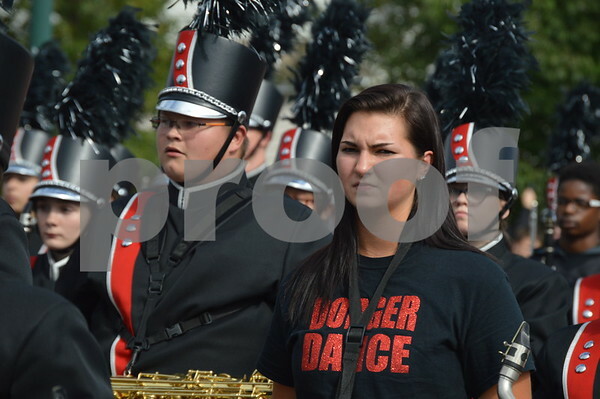 Fort Dodge Senior High band director Al Paulson accompanies the march through the city. 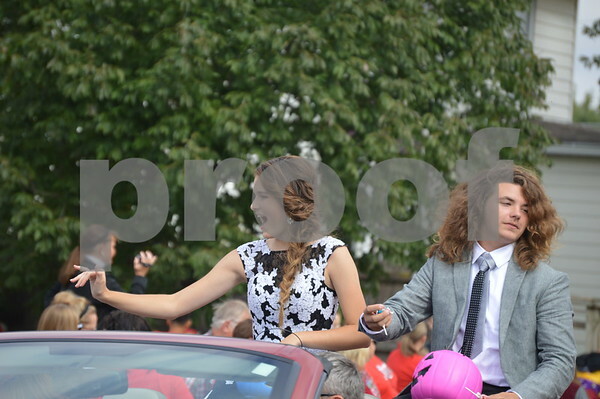 Former FDSH Homecoming king & queen Nick Sanford and Bekah Henkelman wave to parade-goers. 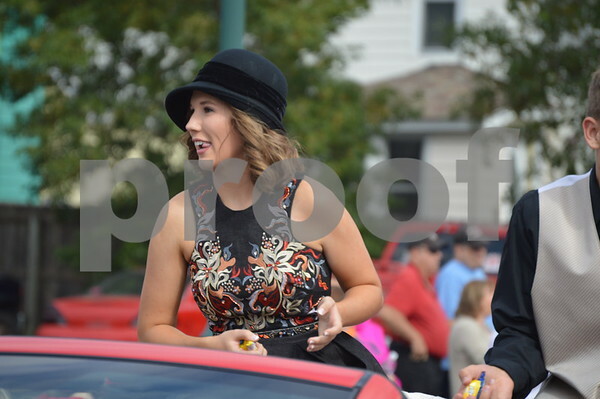 Homecoming court members Max Hanish and Gretta Leigh throw out candy. 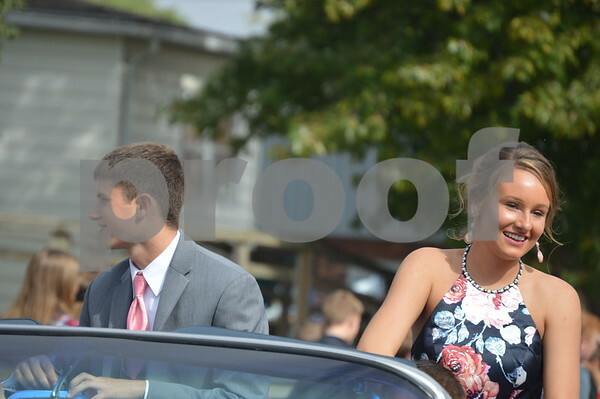 Homecoming court members Hannah Amhof and Keaton Dornath appeared at the parade. 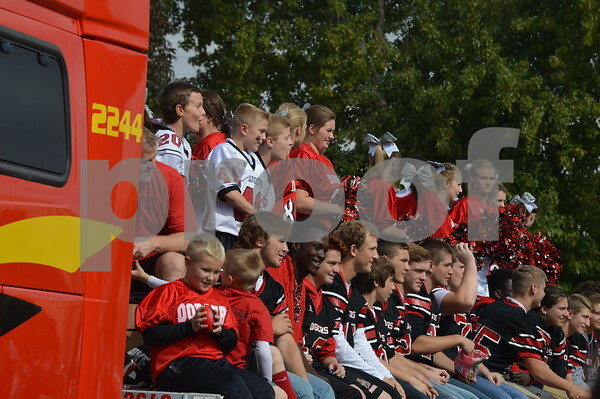 FDSH football players and cheerleaders appeared on their own float at the parade. 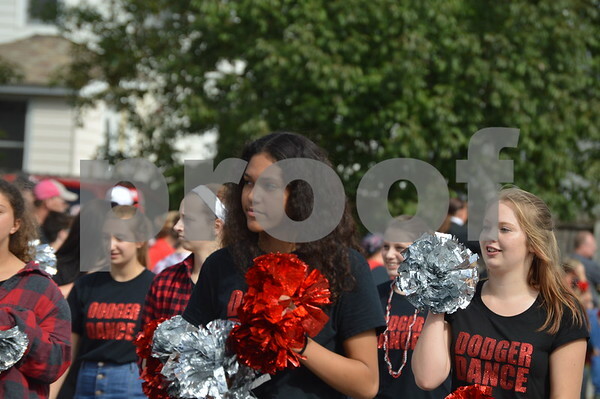 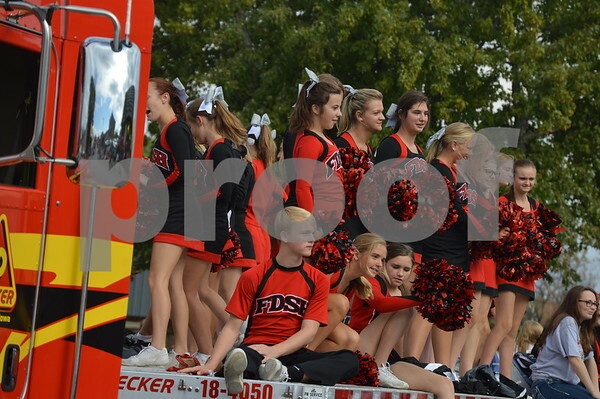 FDSH cheerleaders appeared on their own float at the parade. 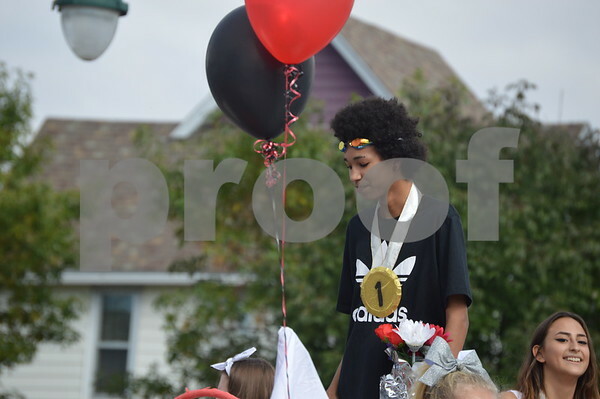 Homecoming court members Tielyr Clabaugh and Triston Lara throw candy out to parade-goers. 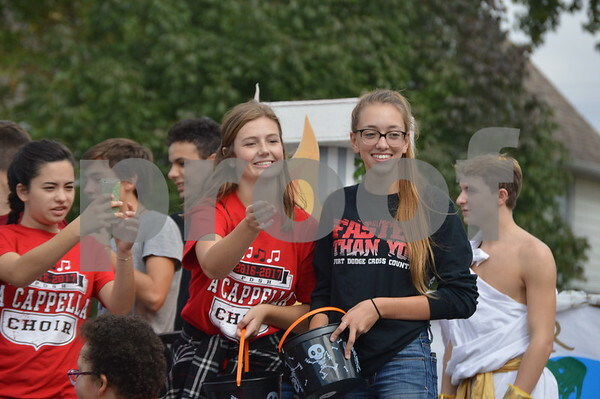 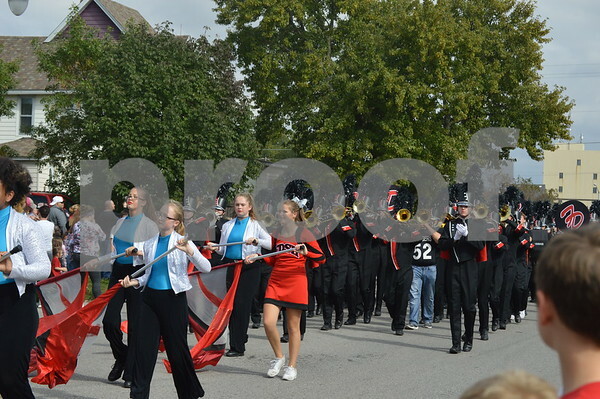 Homecoming court member Anna Bruen throws candy out to parade-goers. 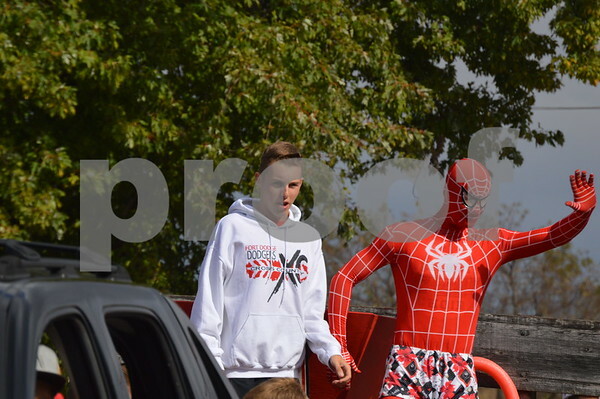 Homecoming court members Jordyn Kloss and Tristan Earnest throw candy out to parade-goers. 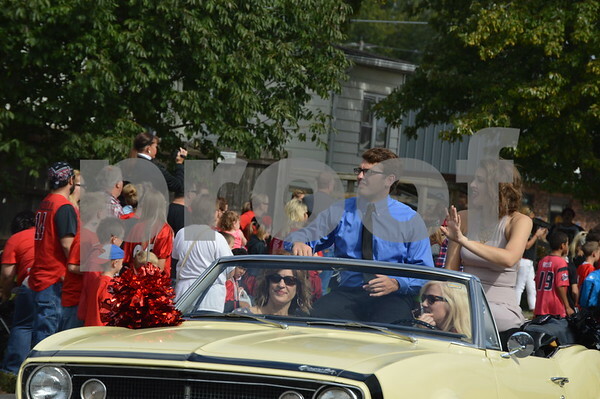 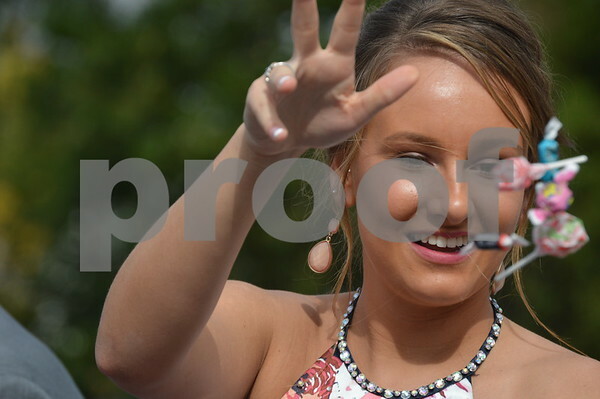 Homecoming court member Anna Taylor appeared at the parade. 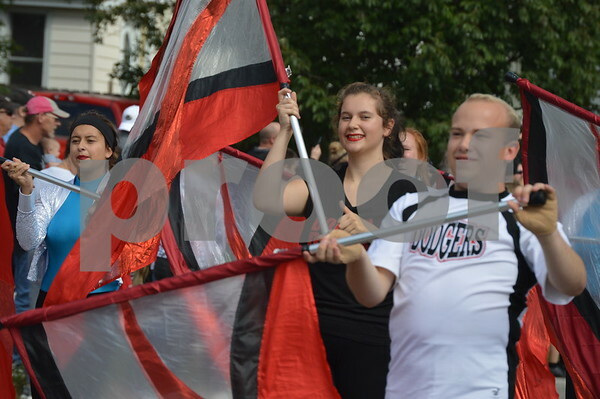 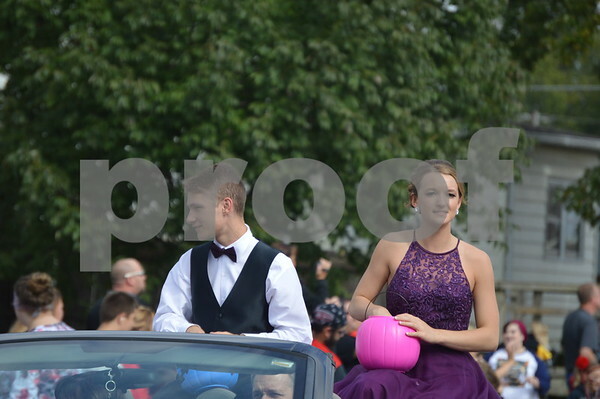 Homecoming court members Jonny Bowser and Alexis Erickson appeared at the parade. 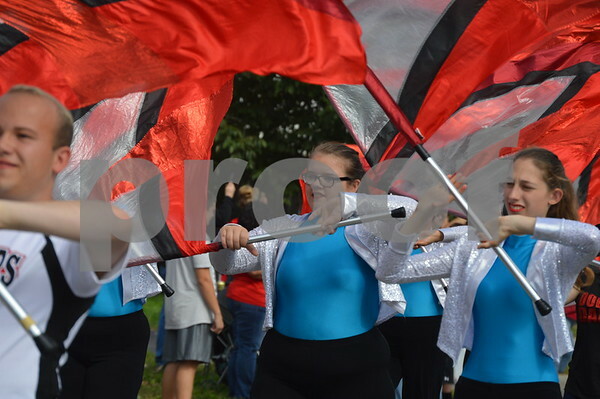 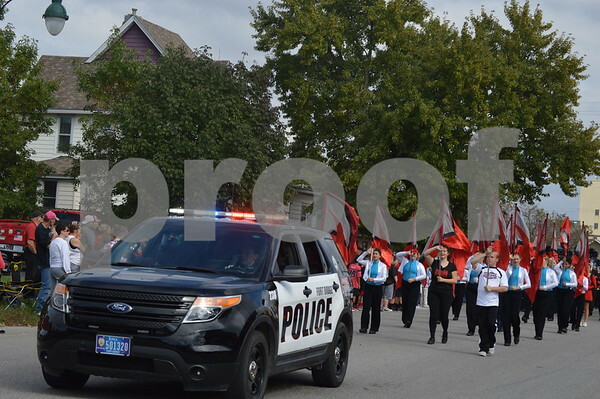 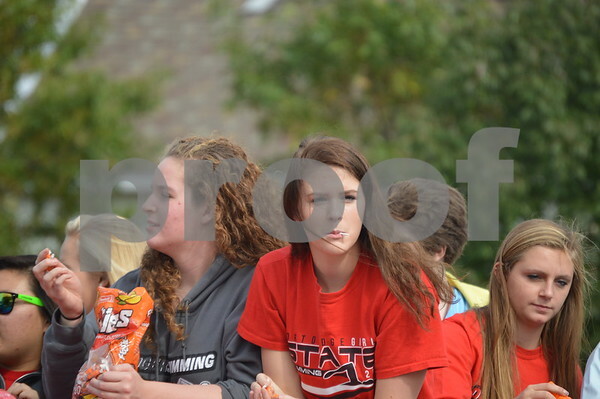 Homecoming court member Alexis Erickson throws candy to a group of parade-goers. 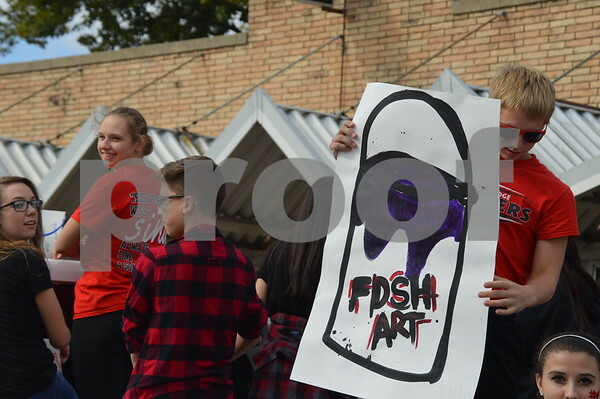 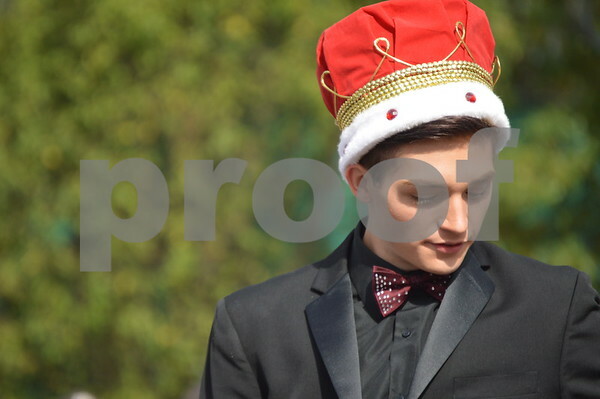 Alex Craig was crowned FDSH's 2016 Homecoming King. 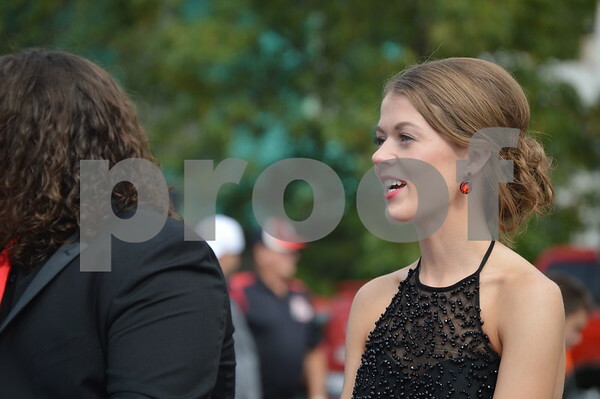 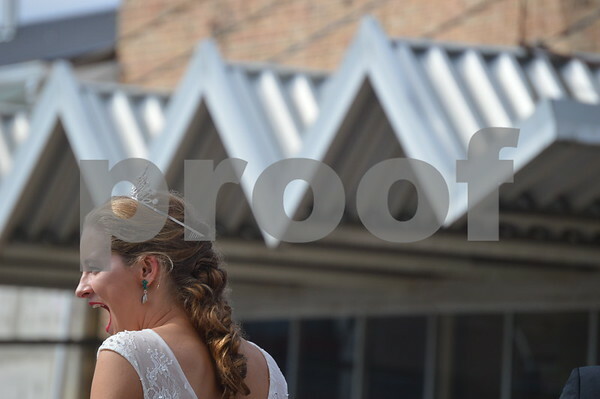 Lehr Thorson was crowned FDSH's 2016 Homecoming Queen.